The rebel Indian Cricket League has done something which the BCCI, the world’s richest cricket Board, is still struggling to do — launch its official website. ICL, the much talked about venture of Subash Chandra’s Essel Group which has already sounded the alarm bells in the BCCI, today announced the launch of their website www.indiancricketleague.in to facilitate the entry of aspiring players. The website would help hundreds of aspirants to now apply directly for the twenty20 League proposed to be held in October. We have been getting thousands of mails, letters and queries from aspiring cricketers who don’t know how to apply for the ICL. With the website, a single point of information and application of interest will exist for all. Will BCCI ban the companies sponsoring ICL ? it is very good work that u have done for cricket. i am realy very happy for this. THE one thing i want to say that i want to play cricket. but i have not played any first class match i only play local cricket. i do not want anything like money,facilities but to ply cricket seriously.so what will i do ? I wanna join this team!! Sir i want to join your team, jo kami mujhmein ho woh aap puri kar dena!! Main ji jaan laga dunga!! Sir main aapka iqbal banna chata hun!! sir, Being a cricketer I really appreciate and understand the idea and effort kapil dev is puttin in and believe it will change many a things , monopoly of boards n give birth to some real talent and help them make good life out of it as well .. i a have a question pls.. i played many matches for (moin ud dowla )my age is 31 if i ahave a part to play i ll be glad to know about it … thank you. sir i play some match for ymca cricket acedmay and i also join the railway cricket camp.i want to play with icl . I m Right hand Aggressive batsman, I m playing cricket last 8 years I played 2 time Essar Trophy in Rajkot I never get chance to prove my self so please give me one chance to play. sir i want to join ur cricket team. i m from gujarat.and i m all rounder like kapildev. 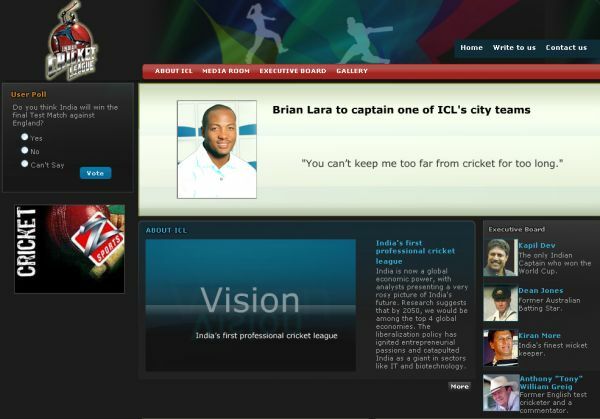 I want to join and play for the ICL.Plz give me one chance to prove my ablity. I HAVE ALSO PLAIED LOT OF MATCHES AND I THINK THAT I HAVE TALENT TO PLAY FROM INDIA SO PLS GIVE ME A CHANCE BUT I HAVE NOT MY OWN KIT. BUT I CAN DO ANY THING FOR CRICKET . AND I HAVE LAWAYS SELECTED FROM MY TECHNIQUE OF BATTING . SIR FIRST A FALL I AM NOT JOKING SIR I CAN PLAY GOOD 50-50CRICKET BECAUSE I HAVE A GOOD TECHNIQUE OF BATTING AND ALSO A GOOD BATTING STYLE .SIR I HAVE ALSO PLAYED LOTS OF SCHOOL MATCHES AND ALSO PARTICIPATED FROM SCHOOL IN REGIONG AND I HAVE CERTIFICATE ALSO. REGIONAL LEVEL REGION = 2TIMES. I HOPE YOU CAN UNDERSTAN ME AND MY WORD SO PLS FOR GOD SAY GIVE ME A ONE CHANCE I AM A ALROUNDER I AM A OPENING BATSMAN AND I CAN BOWL SPIN BOWLING AND MEDIUM FAST BOWLING . i am 19year old. i’m right hand fast bowler & right hand midle order batsman. I played in Bhutan last year (as a player of national cricket council of India team). I like the passion of ICL. but it’s not passible becouse of my backgraund. So, pls sir give me a chance to proove myself. Thanking to ICL for searching tallents of Indian cricket. 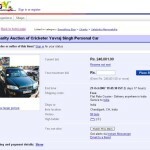 Sir myself dinesh from hisar in haryana. i am a 6feet 2inch in highet and a good fast bowler . the pace in my bowling is above 140km per hour but sir there is not any plateform to show my action. sir, myself amaan from Moradabad U.P west, i am 20years old and I m Right hand Aggressive batsman, I m playing cricket last 7 years from RAMPUR sports stadium.I really appreciate and understand the idea and effort KAPIL SIR is puttin in and believe it will change many a things. sir please give me chance because cricket is my passion,my life and i have lots of certificate and trophys of cricket and one more thing that sir mujhe ICL ki money nahi chahiye mujhe sirf ICL se judna hai or achcha khel kar KAPIL sir ki tarah apna naam karna hai belive me. i am 20year old. i’m right bast man and leg spe bowler & . I played in jamnagar last 4 year later(as a player of national cricket council of India team). I like the passion of ICL. My name is Sajeel, I am from Karachi, Pakistan. FOA i wud like to pay tribute to Mr. Kapil Dev who taken this innitiative to bring innovation in the game of cricket. We all appreciate you sir. Being a cricketer I pledge you to kindly guide me that how can i apply to get myself evaluated for ICL as i feel i can play a lot better than most of the players; thats not an over confident statement, its true that i have such talent which i can show if you direct me a way to the concerned people in pakistan who are looking after ICL? Your little concentration towards my intension can help me to fulfil my passion to play cricket at higher level. i am left arm pace bowler. in my bowling natural swing is present.my average speed is 140km/h in bowling.i had played districts level. KAPIL sir give me a chance to take a audition. it is very good work that u have done for cricket. i am realy very happy for this.One thing i want to say that i want to play cricket. 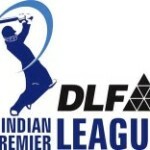 I have not played any first class match due to my family problems as my father is an cancere patient but i have played lot of Divsional 1st, Zonal, Unoversity level, Club cricket in Bangalore.Further i do not want anything like money,but i want to ply cricket seriously.so what will i do ? Hi Sir mera naam wasim hai.main right hand ka fast bowler aur left hand ka Batsman hu.Sir meri age 19 saal hai aur main kricket ka bahot bada fan hoon sir mera aim yahi hai ke main icl ke liye khelu. Please sir mujhe ek chance dijiye. Dir sir mein ICL se indian team ke liye khel kar dekauga. sorry sir meri english weak hai. aggar mujhse koi galat baat likki gyi hai toh muhje maaf kar dijaye. ahsalamu alaykum.i am bangladeshi. i went palying icl cricket league . my near a cricket team. you add my yahoo id . ok thank . ahlla hafez ……..